Allergy Doctor of King of Prussia – Allergy & Asthma Specialists What Are the Signs of a Serious Allergic Reaction to Food? 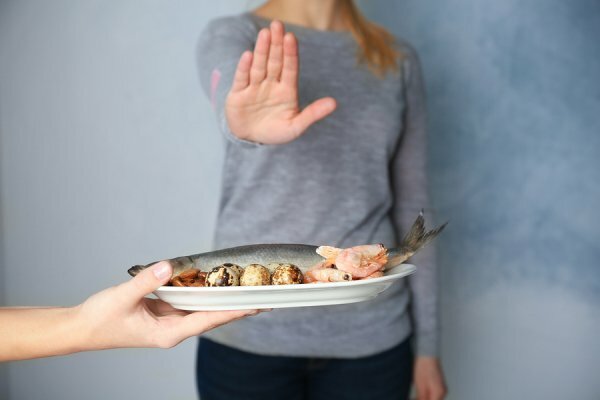 What Are the Signs of a Serious Allergic Reaction to Food? Food allergies can be quite serious. It’s possible for a person with a peanut allergy to suffer a life-threatening reaction to exposure to even a small amount of peanut material. This severe reaction is called anaphylaxis, and it requires emergency allergy treatment. It can be indicated by symptoms such as constriction or narrowing of the airways, the sensation of a lump in the throat, and difficulty breathing. Tightness in the chest or throat, and wheezing, hoarseness, and dizziness can also indicate anaphylaxis. Other symptoms may include lightheadedness, loss of consciousness, rapid pulse, and a sudden, severe drop in blood pressure. If you suddenly have problems breathing or you notice someone else in distress, don’t hesitate to call 911. Emergency medicine physicians can administer life-saving treatments. Once the patient has recovered, he or she should be evaluated by a board-certified allergist. The staff at Allergy & Asthma Specialists℠ is comprised of board-certified allergy doctors who see patients in Collegeville, Philadelphia, Pottstown, King of Prussia, Jenkintown, Blue Bell, Lansdale, and Doylestown, Pennsylvania. Call us at 1(800)86-COUGH for a non-emergent appointment.